Jon previously headed up Mindscapes International in New Zealand, a consultancy that focused on transformational leadership and learning for individuals and institutions. Co-founder and director of the Sephira Institute, Jon Winder is a world-class executive coach and social change innovator. Over more than 30 years, he has played a key role in facilitating transformative thinking and breakthrough outcomes for executives, senior leaders, teams and professionals. He has worked with leaders in organizations of all sizes – from SMEs to US Fortune 100 companies– in Australia, Asia and the US. Jon completed his early training in his native New Zealand. He holds a postgraduate diploma in Educational Technology from Massey University, and earned his M.A. and undergraduate degrees from Auckland University and the University of Canterbury. He augmented this training with years of practical experience, research and an ongoing quest for knowledge and wisdom. He is a sought-after speaker and author of leadership and learning success books, programs and seminars. Previously, Jon was founder and director of Mindscapes International, a New Zealand-based consultancy working with organizations and institutions in Australasia, Malaysia and the United States. Tapping into his vast experience, Jon can help seasoned and emerging leaders step into their authentic leadership capacity, their personal greatness and their innate desire to live full, meaningful and integrated lives. Vision development and strategic planning. Team dialogue and participative change interventions. Currently, Jon works in partnership with clients ranging from multinationals and small businesses to leading educational institutions. His strength is applying the latest transformative strategies for revolutionary innovation in leadership and learning, as well as personal and organizational success and wellbeing. Together with Diane Marama Winder, Jon is a cofounder of the Winder Foundation Charitable Trust, an organization aimed at helping boys and families overcome social, emotional and educational challenges. San Francisco and San Diego, working for clients including Fortune 500 companies. Co-founder and Director of the Sephira Institute, Diane Winder is a world-class mentor and respected advisor to leading organizations, a writer and sought-after public speaker in New Zealand and the US. She is a trained biologist, organizational consultant and recently ordained Interfaith minister serving a wide range of organizations, mainly in her native US. A business and social entrepreneur, Diane has worked with many diverse companies, cultures and people, and has been the catalyst behind five successful businesses. Having worked at the leading-edge of leadership, learning, communications and human performance, she is best known for guiding leaders to generate creative solutions to complex issues and powerful ideas that combine innovation, practicality and a deep concern for people and planet. Her dedication to service has been the guiding force behind a corporate management, healthcare and consulting profession spanning more than 35 years. 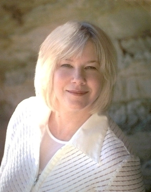 In 1995, Diane formed Hendrickson Consulting Group, Inc., a specialist knowledge management consultancy to support forward-thinking start-up companies, industry leaders, and US Fortune 500 biomedical organizations, including Genentech Inc., Boston Scientific Corporation and Johnson & Johnson. Diane completed her early training in her native homeland America. She holds a degree in biology from Framingham State University, and earned certification in Clinical Science at Northeastern University. She augmented her training with years of practical experience, extensive research and an ongoing quest for knowledge and wisdom. She is a sought-after speaker and designed, wrote and published over 300 corporate education and training systems, programs and technical and medical publications. Among her achievements, and that of her exceptional consulting teams, is the design of award-winning performance, communications and training systems for major biomedical brands including Herceptin® (for breast cancer); Pulmozyme® (for cystic fibrosis) and Activase® (for cardiovascular disease). Her solid corporate and commercial background is complemented by her life-long study of world religions and spiritual training and knowledge of what is essential to being a vibrant, connected human being. Without the quality of being authentic and present, leaders are not able to fully lead a significant organization or make a difference in the global arena at this point in human history. The combination of deep experience, humility, wisdom, insightfulness, innovation and connectedness, makes her a powerful and important mentor that will not only support a leader with external complexities, but also take them to a place of inner power, peace, revelation and wisdom. Diane’s role in Sephira includes that of senior advisor, mentor, strategic program architect, and spiritual director. In 2001 following a transformation of her work and life, Diane made New Zealand her base of operations. From 2006 to 2008, she held volunteer leadership positions as national vice-president of the United Nations Association of NZ (UNANZ). In 2007, she was the UNANZ New Zealand delegate to the UN DPI/NGO Conference on Climate Change at UN headquarters in New York. Together with Jon Winder, Diane founded the Winder Foundation Charitable Trust, an organization aimed at helping boys and families overcome social, emotional and educational challenges. Diane is a strong advocate for social justice and environmental sustainability. Deeply influenced by world cultures and wisdom traditions, Diane was ordained as an interfaith-interspiritual minister by One Spirit Interfaith Seminary in New York. She is frequently called on by religious and nonprofit organizations to write, teach and speak about how we might live in ways that restore balance, harmony and wholeness. For years, she has had has a private practice in complementary health and wellness. Her work has been commended as leading edge with a unique blend of practicality, innovation, creativity and spiritual depth. She provides executive mentoring, consulting and spiritual guidance and direction for the work of the Sephira Institute and its business arm, Sephira Executive.